Having scored in Grade Two company over hurdles, hopes are high that the seven-year-old can scale even greater heights over the bigger obstacles after putting in a near foot perfect round of jumping to land the KKA-Highpoint Beginners’ Chase by a length and a half. Greatrex said of the 15-8 winner: “You won’t get many better than her. I’ve said it all along, she is very good. We can go anywhere. She has beaten 150-rated horses there. 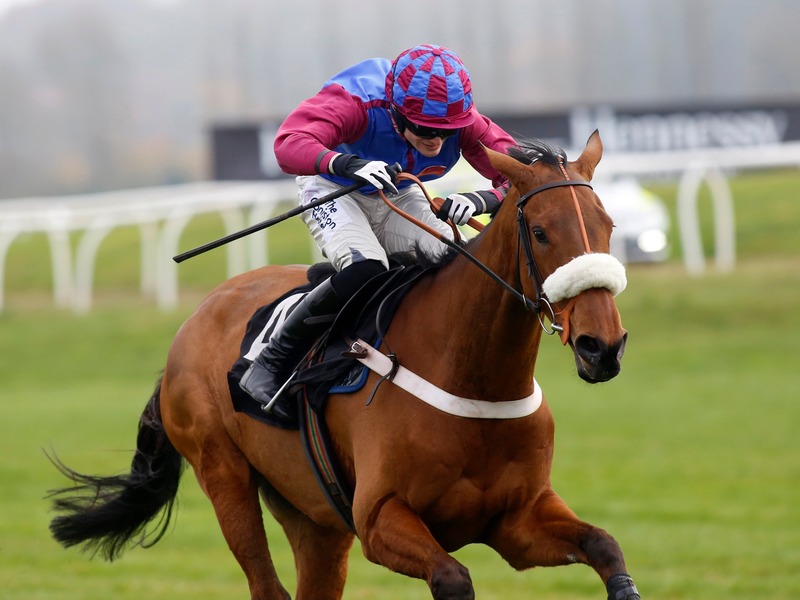 Lust For Glory (9-2) may have cost connections £240,000 but it could prove to be money well spent after the five-year-old completed a double for trainer Nicky Henderson with a stylish three-and-three-quarter-length victory in the CSP Mares’ Novices’ Hurdle. French Crusader (5-1) may make a swift return to action at Sandown on Sunday after initiating Henderson’s brace when running out an eight-length winner of the Fuller’s Conditional Jockeys’ Handicap Hurdle. Owner Tony Taylor saw his day trip from the Channel Islands made worthwhile after Jersey Bean (9-1) completed a hat-trick when taking a step up to three miles in his stride to run out a four-length winner of the Pertemps Network Handicap Hurdle. Amateur rider David Maxwell showed he can mix it with the best after getting the Philip Hobbs-trained Ecu De La Noverie (33-1) home in the Agetur UK Novices’ Hurdle. Noel Williams may have to re-think his plans for Drunken Pirate (10-1) after the five-year-old claimed the concluding bumper by a length and a half.